Screenplay: Ben Affleck, Peter Craig, Aaron Stockard. Starring: Ben Affleck, Jeremy Renner, Jon Hamm, Rebecca Hall, Blake Lively, Pete Postlethwaite, Chris Cooper, Titus Welliver, Slaine, Owen Burke. After his excellent directorial debut “Gone Baby Gone”, Ben Affleck then had the pressure of fulfilling his potential with the tricky second feature syndrome but with “The Town” he proves that he’s no flash-in-the-pan behind the camera. 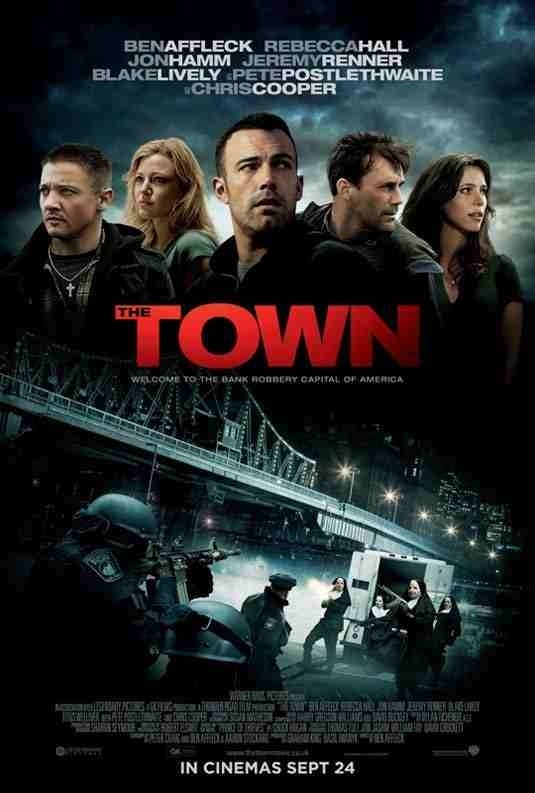 Based on the novel “Prince of Thieves” by Chuck Hogan, it follows professional thief Doug MacRay (Affleck) and his crew after a bank heist, where the bank manager, Claire Keesey (Rebecca Hall) may be a potential witness against them. Just to be sure, MacRay keeps tabs on her, resulting in them developing a romantic relationship and putting himself and his crew in even more danger. Meanwhile, MacRay’s hot-headed friend Jem (Jeremy Renner) shows his disapproval and F.B.I agent Adam Frawley (Jon Hamm) closes in on them. The story is nothing new and has shades of Michael Mann’s “Heat” and Kathryn Bigelow’s “Point Break” coursing through it’s veins. However, Affleck still manages to make the film his own. 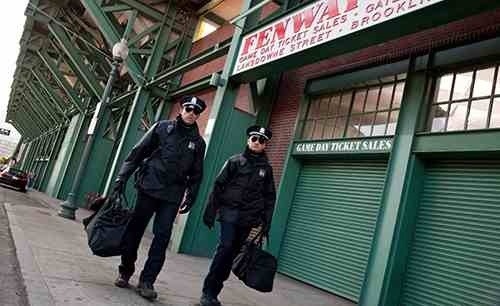 He shows his knowledge of the neighbourhood with excellent use of Boston locations and employs a fine supporting cast. Jeremy Renner channels another wild man performance that got him a Oscar nomination for “The Hurt Locker” and Jon Hamm effortlessly crosses over from TV’s “Mad Men”, this time playing a ruthless and driven F.B.I agent, hot on the gangs heals. Affleck himself, is also really rather good. I’m not his biggest fan but he has a brooding, cold and calculated presence and next to Renner’s unpredictable hot-head, he never looks shaken or concerned by his friend’s dangerous behaviour. There’s no doubt that he’s in charge. Much like “Gone Baby Gone”, Affleck shows his film to have substance. He gives his characters and actors time to establish themselves and you get the feeling that he’s not cutting corners. Its a solid piece of work and I shall watch with anticipation for the next time he’s calling the shots. Its not as grand or as flamboyant as “Heat” but more a grittier look at the working-class criminal lifestyle. This entry was posted on January 28, 2012 at 2:34 pm and is filed under Action, Drama, thriller with tags 2010. You can follow any responses to this entry through the RSS 2.0 feed. You can leave a response, or trackback from your own site.